Astronomik is the "Home of Clip Filters" and we are proud the unveil the new Clip-Filters for the amazing Sony Alpha 7cameras! 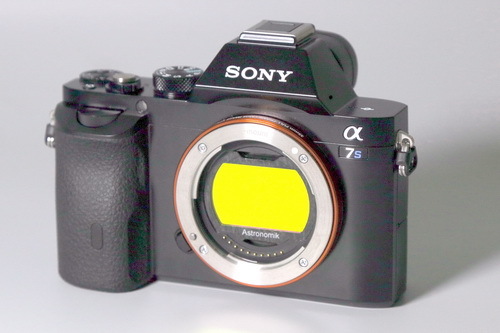 The new design will work with all Sony Alpha 7 bodies (7, 7r and 7s in Mk I and Mk II versions). -Enjoy the amazing improvment of your images when using Astronmik filters with your Sony Alpha!